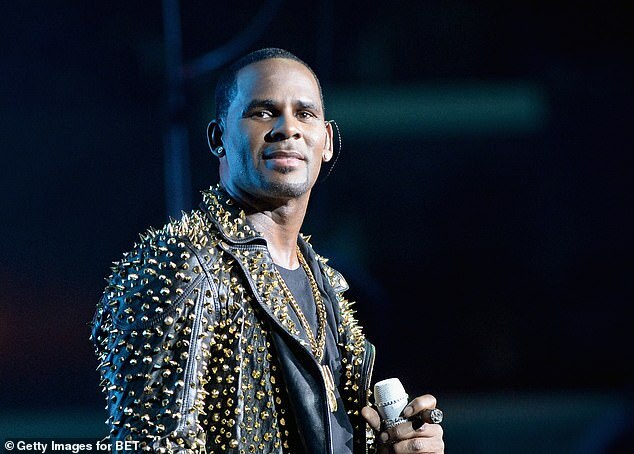 The clip surfaced on Twitter one day after Lifetime’s docuseries Surviving R. Kelly sparked social media discussions about misconduct by artists. 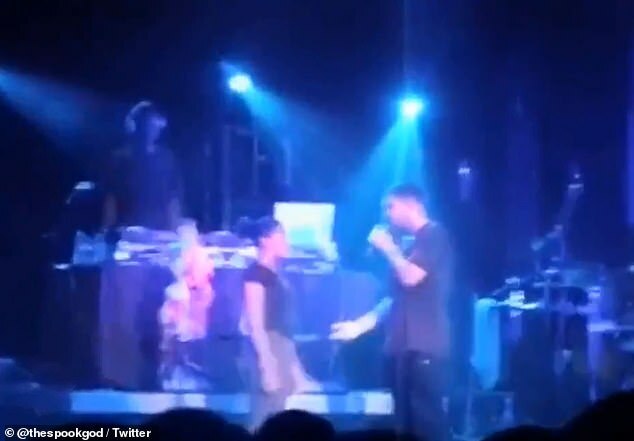 Twitter user @thespookgod first shared the video in which the rapper, whose real name is Aubrey Drake Graham, can be seen dancing with a fan as he performed on stage in Colorado in 2010 – when he was 23. 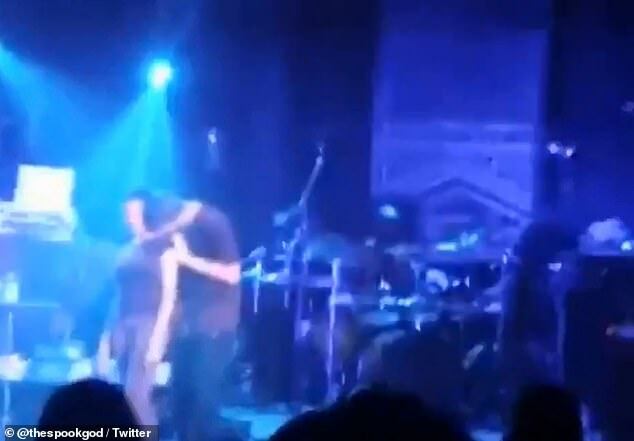 He puts the mic down and places one hand on her shoulder and caresses her back with the other before leaning down to kiss her neck as the crowd cheers uproariously. 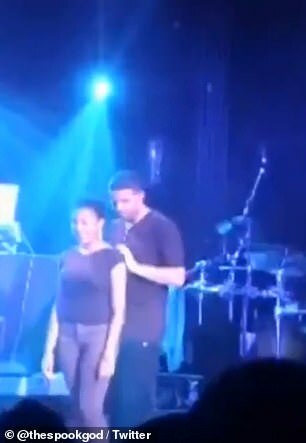 The rapper then drapes his arms across her chest and appears to rest them on her breasts as the girl stands straight upright with her arms firmly at her sides as though she is uncomfortable. She responds: ’17,’ and Drake makes an exaggerated show of disappointment as the crowd erupts even louder. ‘Well look, I had fun. I don’t know whether I should feel guilty or not, but I had fun,’ he continues. He sends her off with a kiss on the hand, then both cheeks, then the forehead and finally the mouth. The video has been retweeted more than 18,000 times as users criticize Drake, now 32, for behaving inappropriately toward someone so young. 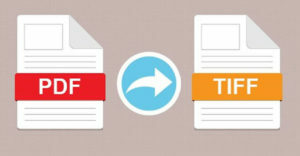 The original post did not specify when or where the video was taken, leaving many speculating whether his conduct could have crossed legal lines. However, Colorado’s age of consent is 17, and the rapper was only five years older than the girl when the video was recorded. In a second tweet, the original poster wrote: ‘Drake following R. Kelly’s steps too closely … guy is suffering from multi-personality identity crisis. 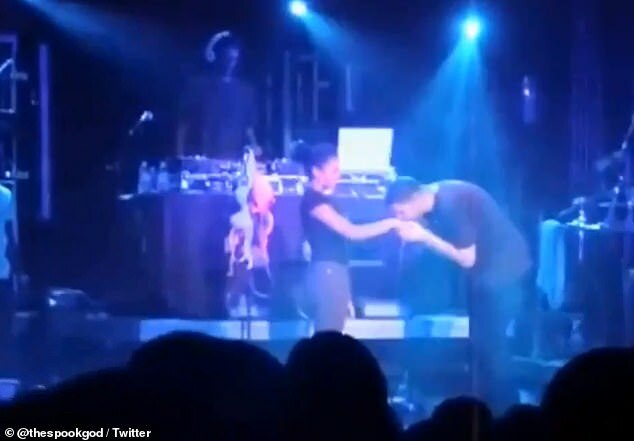 Many Twitter users pointed out that this is not the first time Drake has been suspected behaving inappropriately toward young girls. Last fall, reports emerged that the hitmaker was dating 18-year-old model Bella Harris, whom he’s known since she was 16. ‘Welp no one is surprised he was waiting for that 16 yo turn 18 before he dated her so the perviness is real [sic],’ one Twitter user replied to the video. Around the same time Drake received backlash for his texts conversations with 14-year-old actress Millie Bobby Brown as many deemed it inappropriate for him to be talking to the Stranger Things star about boys. ‘Between this & Millie Bobby Brown are we gettin him up outta here now or waiting for the “Surviving Drake” documentary to come out in a decade? [sic]’ another user wrote.